Pay no attention to the blunt and horrifying title, a crude attempt to capture your attention. Now that you’re here, please contain your outrage and read on to learn the nature and symptoms of the disease, how the diagnosis was made, and what is prognosticated. Then by observation and measurement–looking for anomalous, damaged, infected or traumatized anatomy and malfunctioning physiology. On occasion, economists use the concept of disease as metaphor for market malfunctions (e.g., “growth stagnation” “stagflation” “supply side failure”). As in healthcare, they go from symptoms to observation and measurement to make the ID. If implementable solutions exist, the disease can be cured. If the condition resists solutions or solutions don’t exist, the disease is chronic at best and fatal at worst. 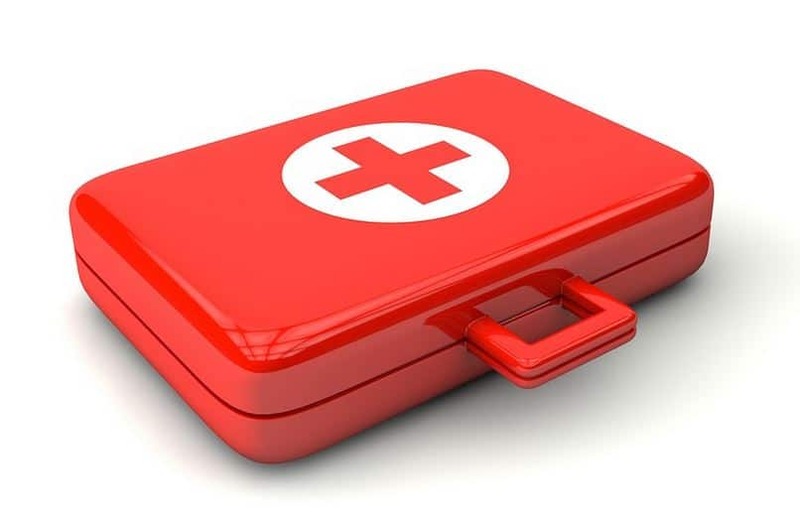 Such is the case with healthcare and, by extension, with hearing healthcare, according to economist William J Baumol, who wrote a clear, fast-paced book describing the “cost disease” in healthcare and other personal service endeavors. All quotes in this post are from his book. Dr. Baumol delved deep into labor markets, innovation, entrepreneurship, and economic history. In particular, he looked at economic productivity–output (e.g., revenue) per unit of input (e.g., labor). Baumol wasn’t concerned about productivity in the manufacturing sector, where technological innovation drives constant productivity improvement as a primary means of besting competitors and growing markets. Productivity goes up with technological advances because workers can produce more units at lower cost in the same amount of time. This makes workers more valuable so wages also go up in a well ordered market, keeping pace with growth though perhaps not growing the labor force. That works for widgets, and also works for hearing aids, as Hearing Economics has discussed in many past columns. In hearing healthcare we have seen the effect for years, manifest in ever-improving hearing devices and ever-widening range of products and price points (see 8-post 2016 Pricing series for this discussion). It’s a healthy condition and is likely to stay that way, at least for the most competitive players. Diagnosis and treatment: Hearing aid devices and manufacturers don’t suffer from Baumol’s cost disease; no treatment needed. Audiologists, for example, can’t diagnose hearing problems much faster than we did back in the 80s, nor can we effectively counsel, fit, program, and orient patients to amplification faster than in days of yore. The procedures have changed a lot but not so much the time required to do them. Audiologists are stalled out –we’re no more productive than we were back in the day. But our wages continue to rise to keep up with inflation, cover education costs (another “personal service” industry) that are rising faster than inflation, and deter us from straying off to better-paying fields. This is Baumol’s conundrum: service wages must rise on the back of stalled productivity while manufacturing labor costs rise naturally on the back of increasing productivity. The result is increasingly expensive (some would say inefficient) services to administer increasingly efficient devices. We keep getting paid more but we can’t cut our time to boost our productivity. And yet, the more goods supplied at lower cost, the more services demanded at ever increasing cost, no end in sight. We’re not pricing ourselves out of the market and neither are other personal service providers. Reports on US labor growth surely support the diverging trends in personal services versus manufacturing and technology: June payrolls increased by 46,000 for health and education services, compared to 12,000 for manufacturing and a decrease of 2,000 for IT technology. Diagnosis and treatment: All licensed hearing healthcare providers, and those who support them, suffer from Baumol’s cost disease; treatment plan yet to be determined. 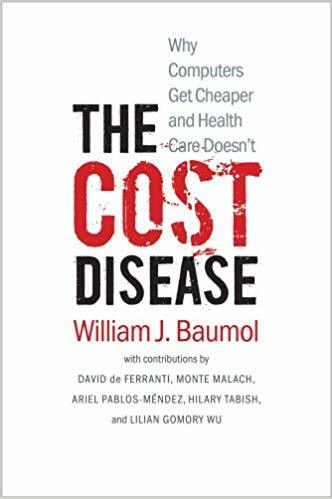 Baumol concluded there was no cure for our cost disease but he didn’t think it would kill us by pricing us out of the market. Instead, he developed economically sound ideas on how to manage it long-term, on the reasonable assumption that the market needs us. Those ideas will be examined in a future post. Meantime, the knee jerk reaction of many stakeholders to rising Price is to cut, manage and regulate “it,” with little if any time spent defining what, exactly “it” is. In the present milieu we see that view exercised and aimed at hearing aids in general, which sounds good but isn’t of much help to consumers or providers. For years we have talked about separating the cost for the product and the cost to deliver the product (unbundling). Another way to view your analysis is to say that we have not improved the efficiency of the delivery system and the costs per hour have remained unchanged or maybe even have increased. Maybe a future analysis would separate out the cost for the product and look more specifically at the costs of the delivery system. Thank you, Drs Freeman and Amlani. Let’s hold the thought and continue the Baumol discussion in a future post at HHTM.